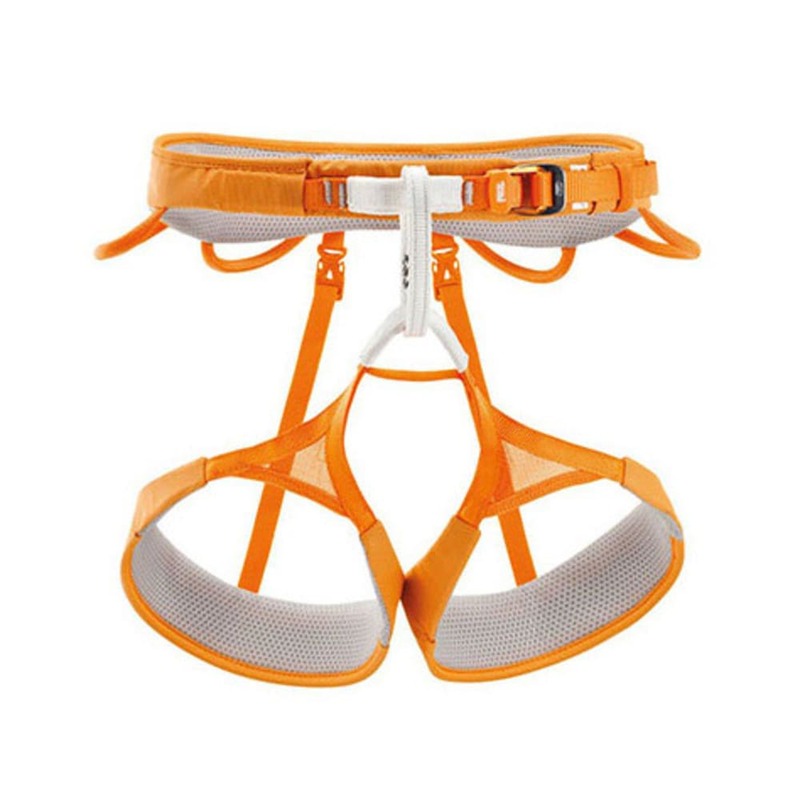 Light and lean, the Petzl Hirundos Climbing Harness is designed for tackling the world's most difficult sport, traditional, and alpine climbs. Leg Loop Size: XS: 16.9-18.9 in. ; S: 18.5-20.5 in. ; M: 20.5-22.4 in. ; L: 22.4-24.4 in. Fits Waist: XS: 23.2-28 in. ; S: 26.0-30.7 in. ; M: 28.0-32.7 in. ; L: 31.7-37.0 in. Weight: XS: 8.8 oz. ; S: 9.5 oz. ; M: 9.9 oz. ; L: 11.1 oz.